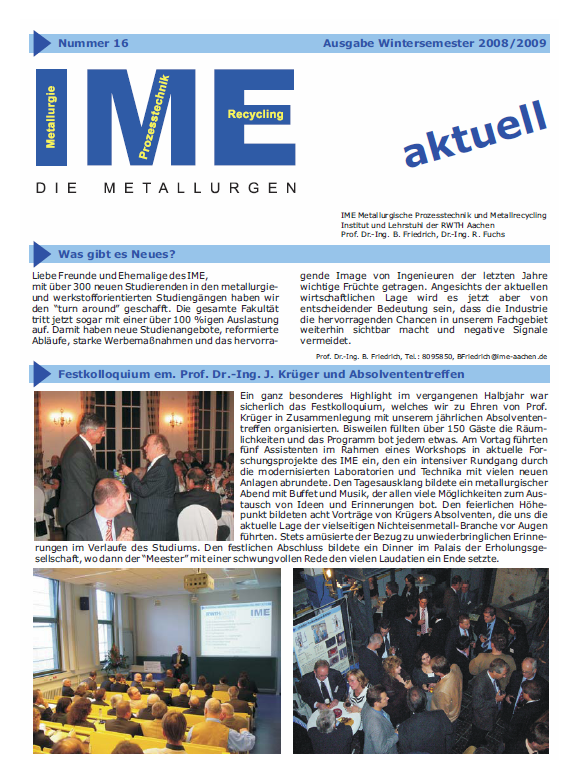 Two issues of "IME Aktuell", our institutes newsletter, are published each year, one during the summer semester and the other during the winter semester. It is supposed to give an overview of current and future activities at the IME for students, alumni and other interested people. You also have the opportunity to download older issues of the newsletter.